Are you looking for ways to help your children celebrate Christmas by sharing kindness with others? It’s natural for children to be excited about receiving gifts at Christmas, and there’s nothing wrong with that. But we also need to help our children learn that Christmas is a time for sharing kindness and love with others. It’s a time for giving–not just receiving. This Christmas Kindness Calendar is a fun and easy way to help your children focus on giving and doing things for others during the Christmas season. 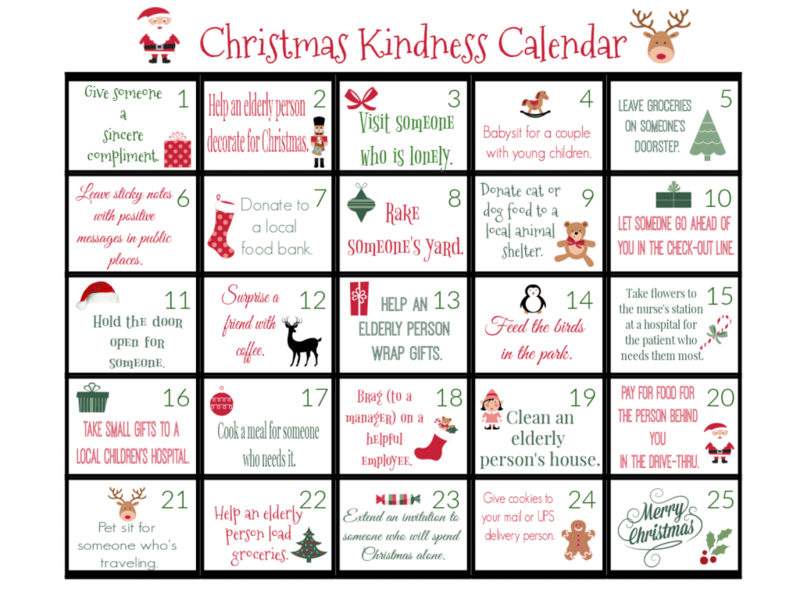 To get your free printable Christmas Kindness Calendar, click HERE. Some of these suggestions require money or the ability to buy something for someone else. Some of them are completely (or almost) free! 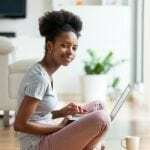 If you’re not able to commit financially to the items that require money, just skip those and do the ones that are free or very inexpensive instead. There’s no need to feel like you have to complete every item on this calendar, either. Do the ones that fit your family, schedule, and circumstances. Leave the others for another year. Also, you’ll notice that this calendar doesn’t have days on it. It’s simply a countdown. I created it this way so that you can print it out and use it year after year if you’d like to do that. I do hope this Christmas Kindness Countdown is a blessing to your family and to those who are the recipients of your kindness during this Christmas season! And if you have suggestions for other ways you can show kindness during the Christmas season, please share them with us in the comments!